There is Supreme Court and Superior Court filed evidence below. At the center of my charges are a corrupt law firm and the New Jersey State Politicians, State Judges and State Officials, who have been protecting them for seven years. Over these seven years, many people have asked me what do I want out of my charges... All I want is justice. I want criminal justice, ethics justice and civil justice. 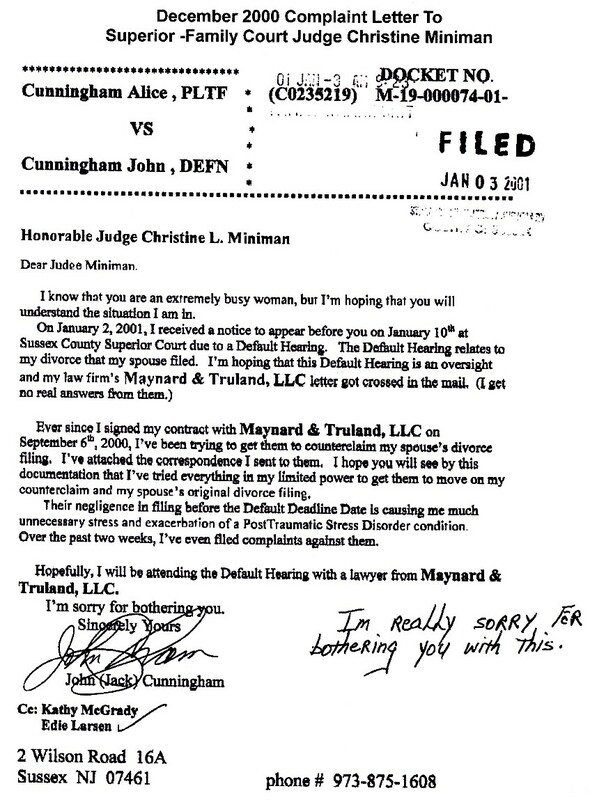 I hired the law firm Maynard & Truland to represent me in a divorce case that my ex-wife initiated. 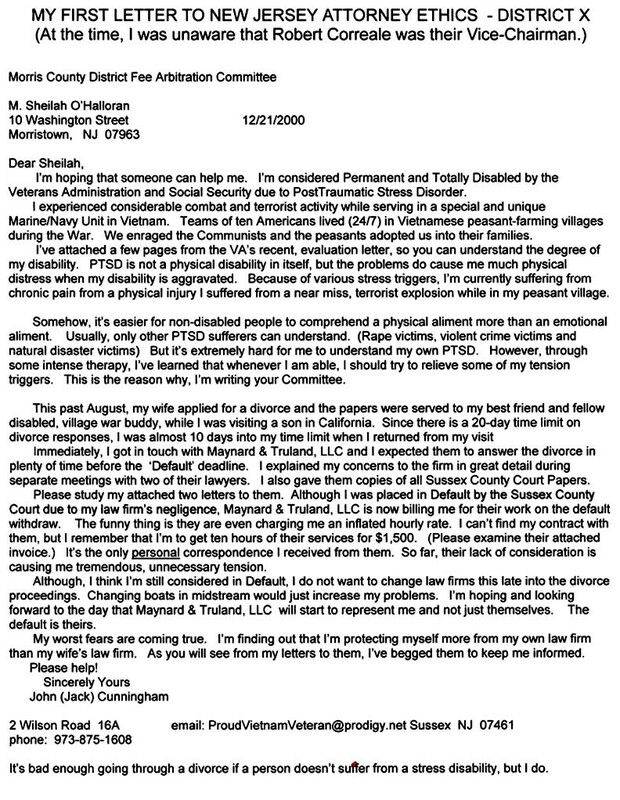 Being a disabled PTSD Vietnam Veteran, I was terrified about losing custody of my two minors. 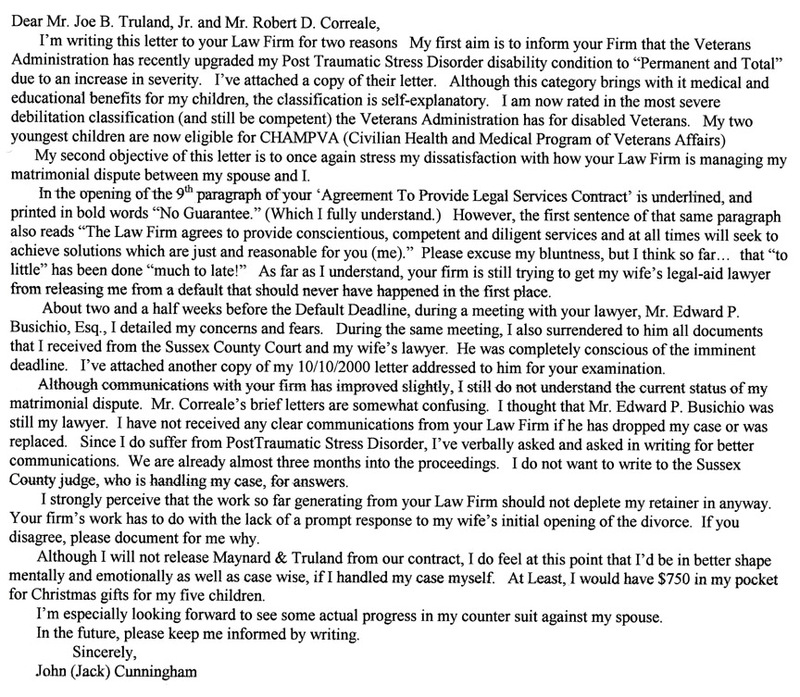 With 22 days to file, I paid the law firm the accepted retainer and begged the law firm to do their job. Their divorce attorney told me to calm down that he was a professional and knew his job. A few days after the meeting, I didn't receive the papers to sign, so I started calling the divorce lawyer, but he never got on the phone. Three times, I talked to the law firm's office manager. She told me not to worry that their divorce lawyer knew his job. 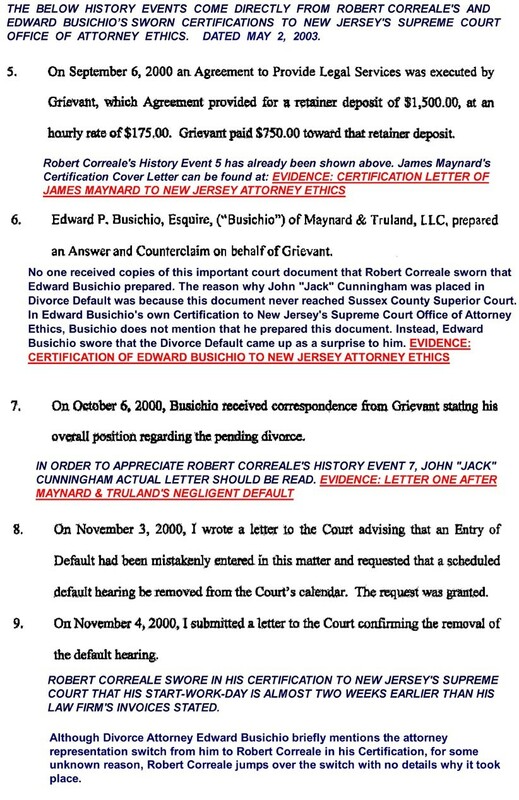 After Maynard & Truland had me fall into default, the law firm’s supervising partners switched my representation (Without my permission and knowledge) from their divorce lawyer, Robert Busichio to a general-practice attorney, Robert Correale, who happened to work for them and was also the local New Jersey Supreme Court Attorney Ethics Vice-Chairman. 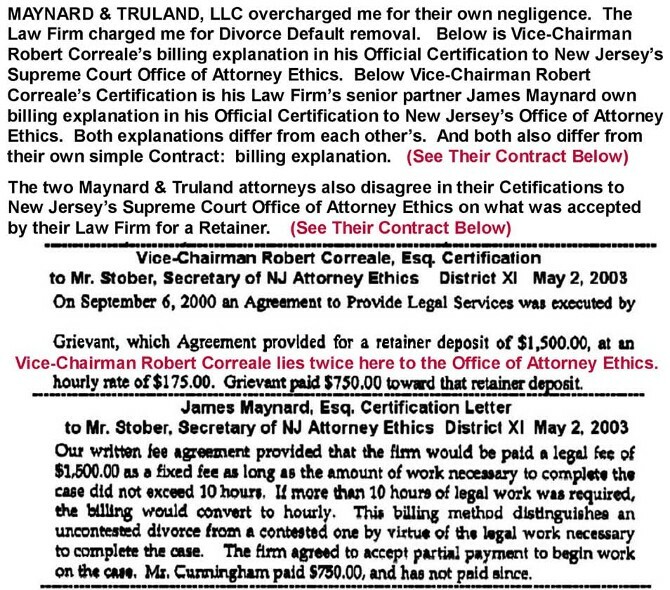 Robert Correale and Maynard & Truland carried a great deal of influence around all New Jersey courts. I refused to pay Maynard & Truland the rest of the money they said I owed them. They were worse than crooks. I tried to move on with my life the best I could. 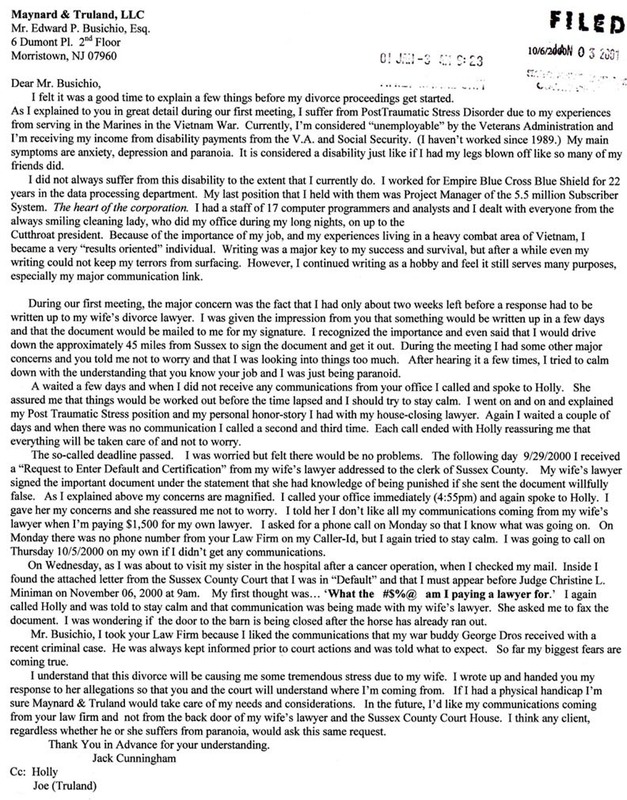 A few days before Christmas, I received a court document stating there was a Superior Court case against me. 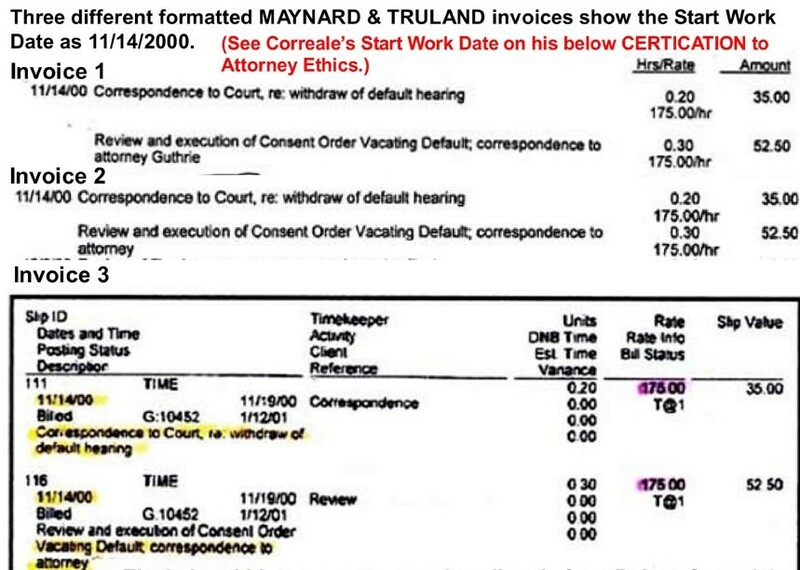 Maynard & Truland took me to court for the rest of the money ($1,600). 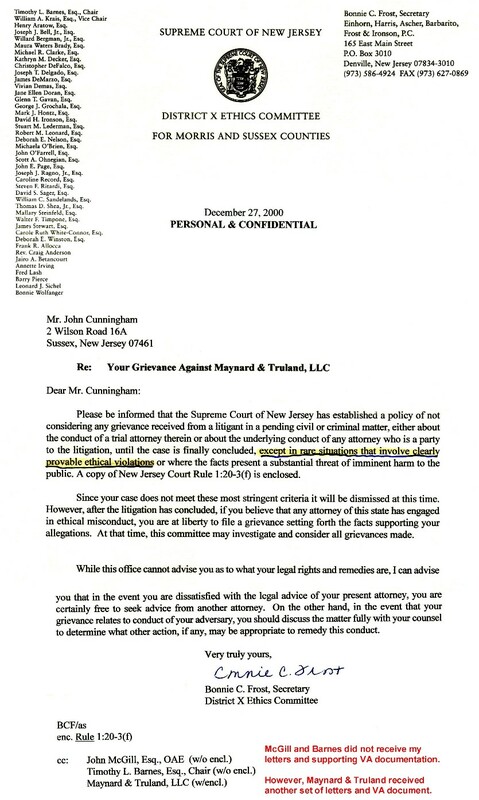 I counter sued Maynard & Truland and Robert Correale for legal malpractice. 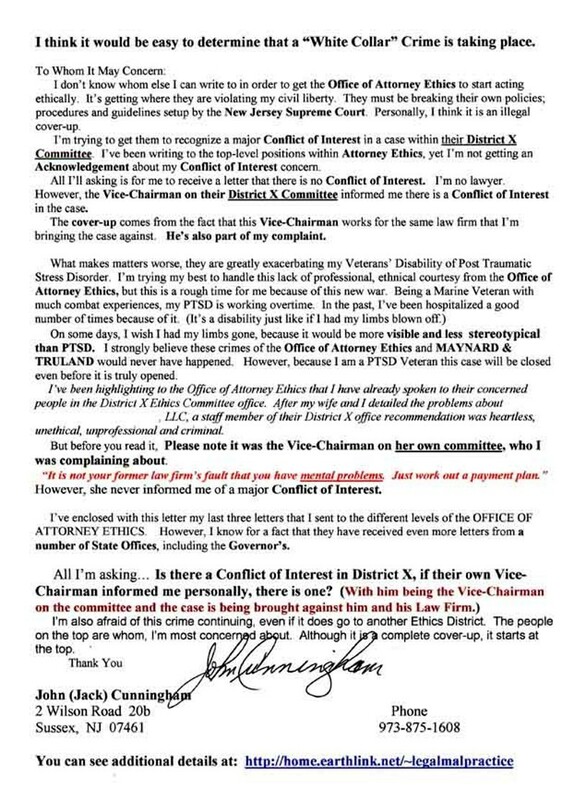 I represented myself PRO SE, because I could not get a law firm to go after another law firm that had the local NJ Supreme Court Vice-Chairman of Attorney Ethics working for them. Vice-Chairman Robert Correale represented his law firm during the back-billing case. 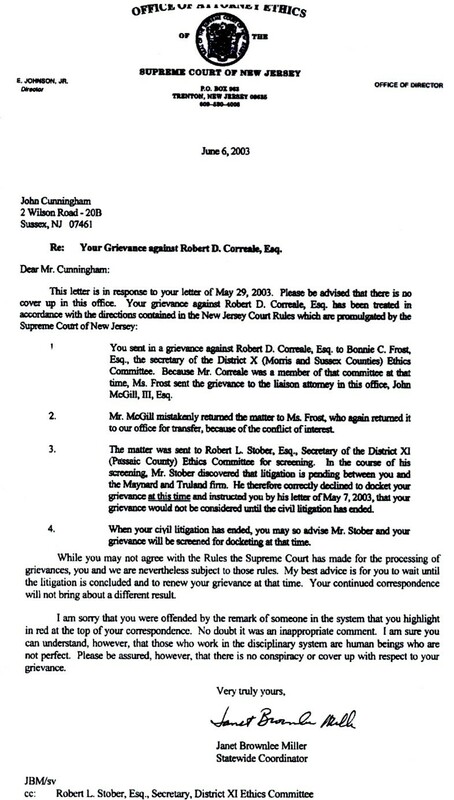 New Jersey Superior Court - Appeals Division placed a Gag Order on me not to release information about my appeal. 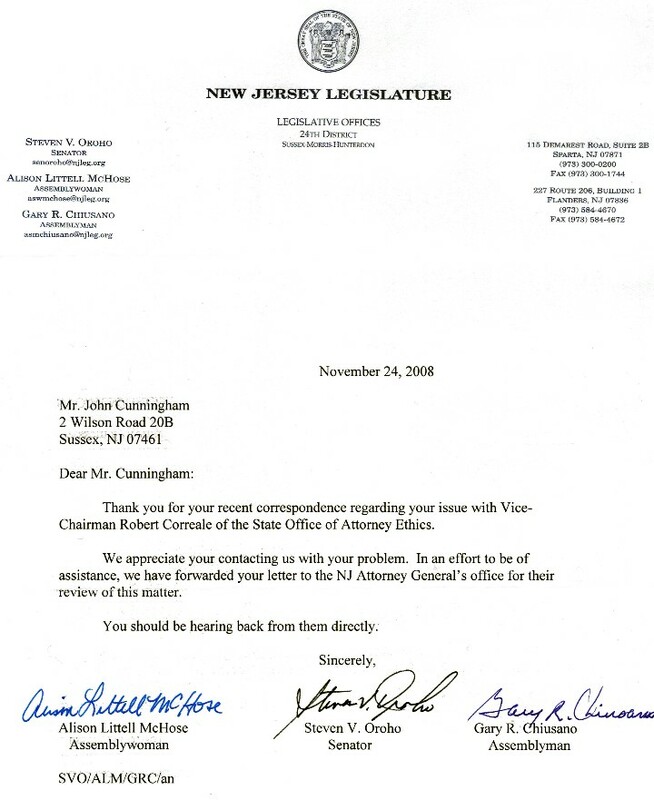 PLEASE PRESS HERE TO SIGN JACK'S PETITION REQUESTING DUE PROCESS FROM THE STATE OF NEW JERSEY. You Can Add Your Comments. Over 900 people have signed and hundreds have added their comment.